This Yorkshire pudding recipe is so easy and no measuring scales required. To get the ratio of floor and water right you will need a standard mug or large cup. Measure 2 mugs of plain flour and place in a large mixing bowl. Use the same mug to whisk the 4 eggs with a fork and then add the olive oil. Pour into a mixing jug and add and whisk in the mug of milk. Make a well into the flour and add the mixture and whisk until all the lumps have gone. Season with salt and pepper. Place the mixture into fridge for at least 30 minutes. Pour a little olive oil into your patty or Yorkshire pudding tin and place in a preheated oven at 225 to 260 degrees for a few minutes until really hot. Carefully remove the Yorkshire pudding tin from the oven. Remove the Yorkshire pudding mixture from the fridge, transfer to a pouring jug. Immediately pour into each patty tin and place into the oven on the top shelf. 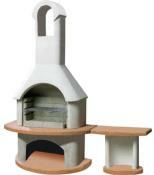 They should be ready in 15 to 25 minutes depending on your oven design. Do not open the oven door for 15 minutes, then check your Yorkshire pudding. 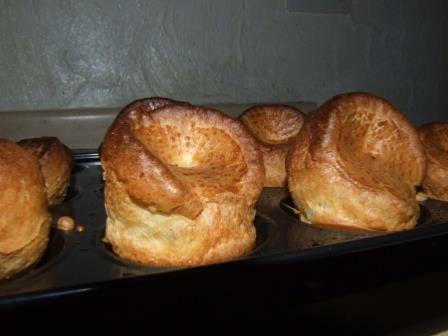 You can make your Yorkshire pudding anytime and allow to cool, they only take a few minutes to reheat in an hot oven. 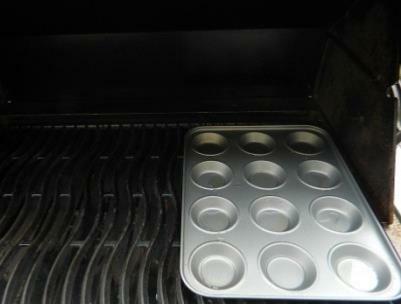 To attempt cooking a Yorkshire pudding on the barbecue you must first find a reliable and trusted recipe. 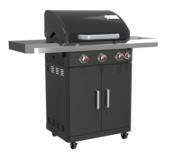 Planet Barbecue has perfected and tested this recipe to ensure excellent results. 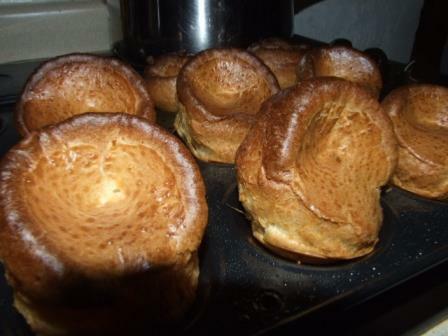 Most Yorkshire pudding recipes will not tell you everything that is required to provide a non stick, well risen Yorkshire pudding. Planet Barbecue will supply all the info you need and not only that, we have made it so easy only a cup or mug is required for measuring quantities. Adding the olive oil to the mixture will ensure your Yorkshire puddings will not stick and will just fall out of the cooking tin. 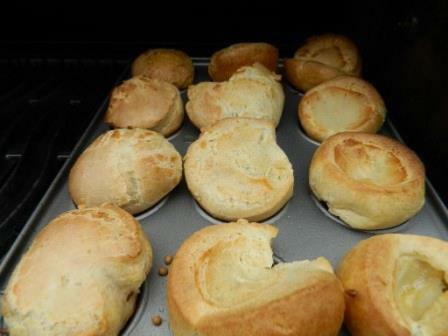 Cooling the mixture in the fridge will help the Yorkshire puddings rise due to the shock of cold to hot. 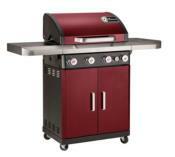 Once perfected in the kitchen you can now use the barbecue but you will need a very hot barbecue with a lid. 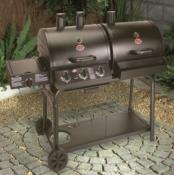 Follow the recipe above and barbecue indirect. The picture above shows a little oil in the patty tin. 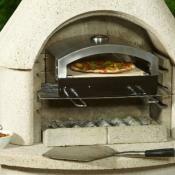 We now close the barbecue lid and get the oil nice and hot.